Entrepreneurs come across many marketing methods every day! They learn, apply, struggle, succeed and faille! But, it’s our nature to expect success over failures. Now a days, one of the most result driven marketing method which has proven successful in every scenario for entrepreneurs is influencer marketing. I have used this magic spell and it just worked like a fantasy! 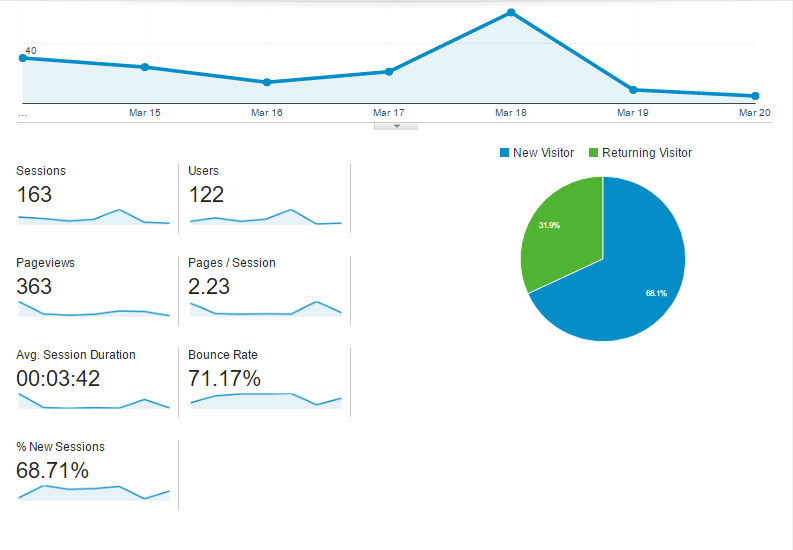 Our site which had a 0 DA months back acquired 3600+ traffic in no time with massive social network exposure! In other words, it’s a marketing method by which you let the thought leaders spread the word of your mouth and you play the role of a host in the market. Free PDF Download: Get access to the free checklist that will show you the 9 key stages of succesfull influencer marketing. Our blog started publishing from 14th of March, 2016 and was doing great! We had helpful contents which gave us the early boost and engagement. Our page session and visitor amount was not that bad comparing with the domain age and SEO efforts. We were not having any paid traffic neither had any investment on link building. We were pumped up and wanted to do better! 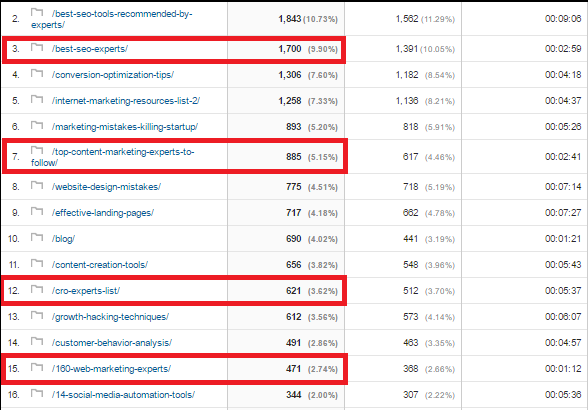 So we decided to look in to influencer marketing strategy from the second week of March and took a week for R & D.
Simultaneously, we were working on growth hack related articles to increase our traffic more. It’s like looking for a needle in a haystack! What I mean is identifying the right person online, thousands of miles away from physical location is a tough job. Though you don’t need to have a supervision like superman, you will have to asses in a microscopic way to identify the right people! I trusted Google buddy in this operation J but in a customized way! You can find lot of valuable date in less popular sites as well. But precaution is always better than cure! A single wrong information can ruin your entire planning! So always be super cautious before collecting any data. Overall time I took to finish this was 5 working days. I did this all manually and without the help of any PR software. I am just little allergic to them actually J I took a week and monitored the influencers for 5 days in a row to see their activities online and their followers. 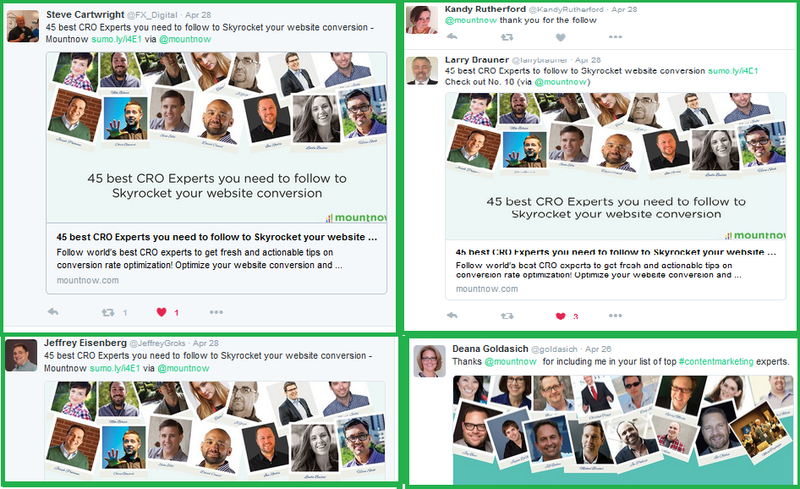 Finally, I was able to extract 160 experts who were active on social media, interactive, impactful and above all, helpful! This is the stage which will test the temperament at most. This is because in any marketing plan, your targeted audience will always be unknown! People won’t trust you, won’t respond and going to ignore you big time! Abrar is one of the SMM experts with mountnow who helped me on this task. 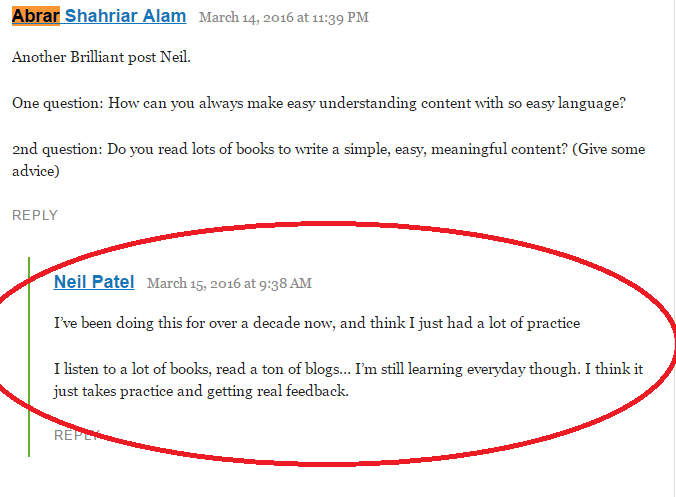 As you can see Neil Patel responded by an insightful comment which was great to see. This helped us to be visible in front of Neil which is the most important part at the beginning of relation building. 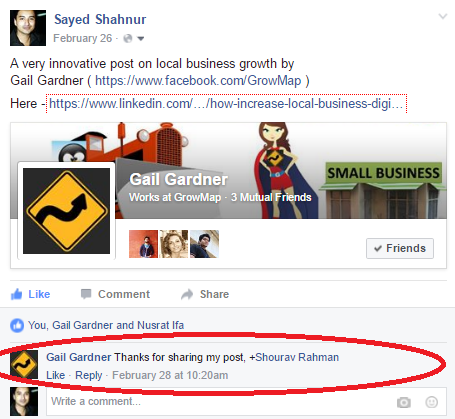 Here you can see Gail Gardner replying with a humble feedback. All I was doing was picking up contents from these influencers and was sharing on my FB profile. This helped me to introduce myself more closely as FB had more off personal information about me than twitter and LinkedIn. What I did here was just basic things. Tweet and re-tweet! I kept tweeting useful contents in a personalized manner mentioning the influencers. I sorted every tweet for them without the help of Buffer or any other twitter apps. I made it organic and that simply worked for me. 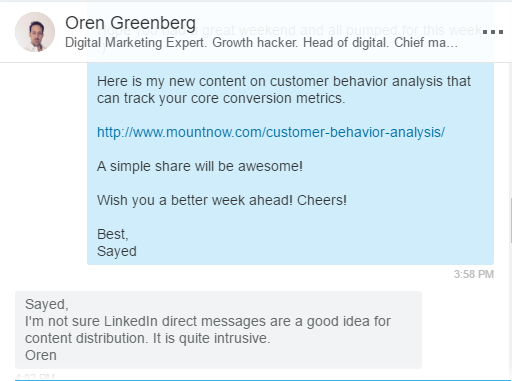 Oren is a renowned digital marketing expert and one of the smartest growth hackers around. I sent him a DM to visit one of new contents and this is what he responded and he was right! I don’t need to introduce David here. 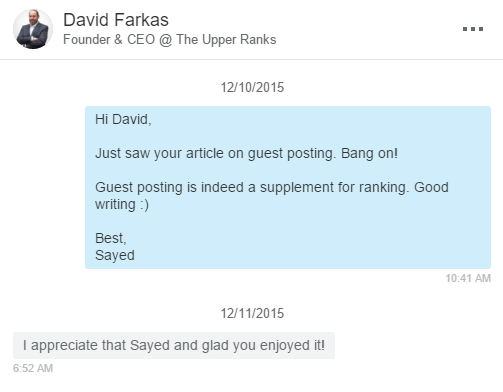 He is one of the leading SEO experts in the world and CEO of the upper ranks. See his reply here. He is appreciating because I appreciated. He wrote something which I agreed in full and immediately I send him a message about it. I used direct messages to exchange views and appreciation. Not to promote or for any commercial purpose for influencer marketing. I continued to do this throughout a month. Everyday an hour or two I spent behind this. Eventually, most of the influencers in my list started to know me better and I gained a little a bit of trust. I was in a steady position after a month in the community. People started to know me on social networks and my continues engagement gained me little bit of trust. That’s all I needed that time. So I decided to capitalize on it and thought I should write a content about the influencers! 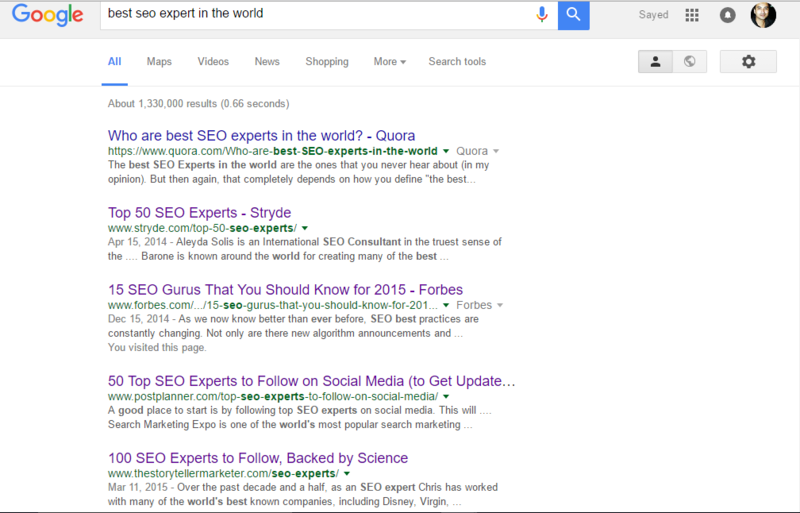 Just as I though, I started to prepare a roundup content on the top influencers in CRO, SEO and content marketing in the industry. 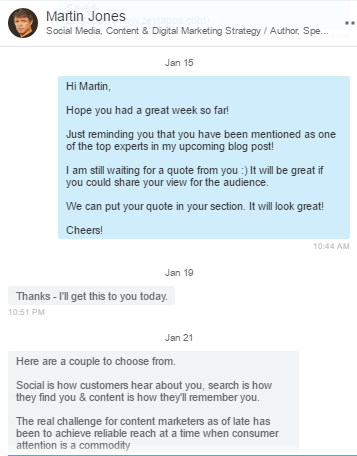 So I started reaching out to them requesting the influencers for a quote as people are always keen to hear from them! I took a day to finish this. I took some extra steps to reach out as I contacted in 3 ways! LinkedIn, Twitter and Facebook! For each network I had a different pitching format personalized for each influencer. This worked actually! These people are busy in helping millions of business worldwide. It’s hard to get in front of them 🙁 so you got to make sure you cover all the channels as I did. See the dates here? I actually sent the first message almost 3 weeks back! But as Martin is one of the top 50 content marketers in the world it’s obvious he has tight schedule. Patience is the key if you want to be successful in marketing. You must understand that your audience has their own will. They will decide whom to interact with. You will have to earn it. Well, I am not a Newton fan but I do appreciate that he formed a realistic theory that reflects marketing so well. 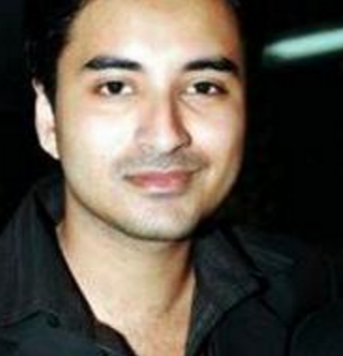 Freddie Chatt is one of the leading SEO and content marketer who has been in the industry for quite a while now. 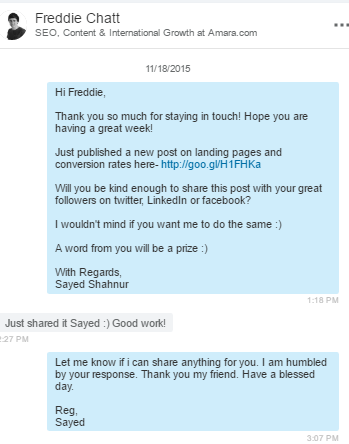 As you can see in the message, Freddie took the time to share one my contents inspite of being one of the busiest marketing experts I know. When you are reacting to the feedback’s from the influencers, be in the same shoes as you expect other would be with you! Your reply should satisfy you first. In influencer marketing, every step you take should be measured and filtered before it’s taken. This is the stage where you stop waiting and launch yourself. I took 3 weeks from the day I reached out for quotations to publish my roundup post. I was expecting this kind of reply because of stage 5, stage 6 and stage 7! I found the right people, contacted the right way and created the right repo! I kept my notification message short. Just wanted to focus on the roundup and they have been featured. I intentionally did not ask for share, backlinks or any word of mouth. As you can see, I did not do anything extra. It’s a simple tweet that was sent to the founder of Content Marketing Institute which is one of the leading content marketing platforms in the world. Almost all the influencers re-tweeted. 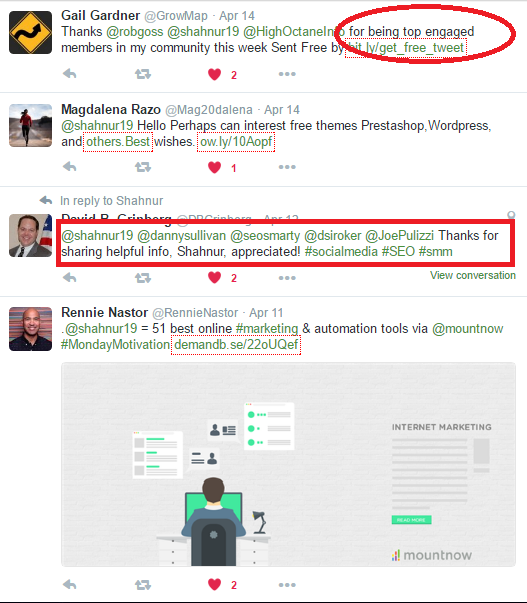 That gave us a huge exposure on twitter and healthy amount of referral traffics. This is a screen shoot from the content drilldown segment of Google Analytic. 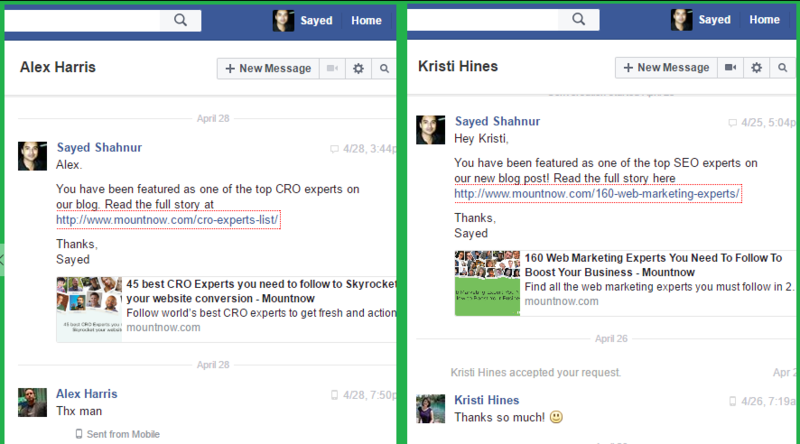 The pages highlighted here represents the round up post which created, published and marketed through influencer marketing. 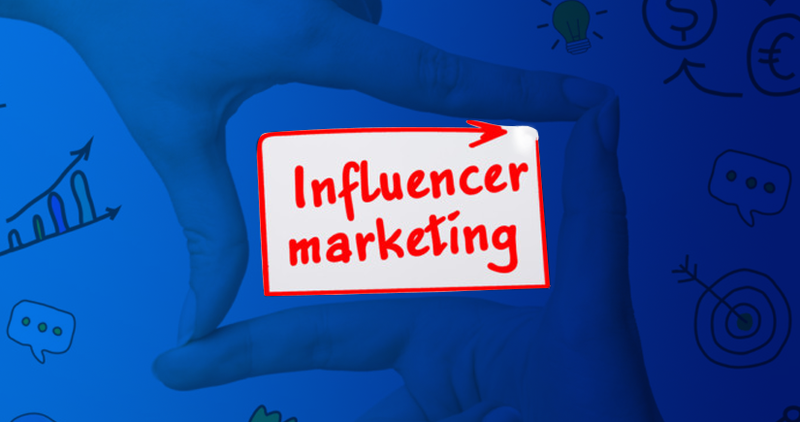 Influencer marketing can be your savior or tool of Demise! If you are unable to pull it up in the right way you will fail. But while trying to do the right thing, we may unconsciously over try and then we make mistakes. In this post, I tried to share my experience of influencer marketing. I succeeded because I stuck to the basics, had patience and did not try to do anything fancy! Very insightful indeed. I can also see that you have put tons of time behind getting recommendation from the influencer. 3600 traffic doesn’t seem a lot in some of the niches but it is a lot in some niches. How is the overall effect on ranking and all? Have you tracked the ranking fluctuation since then? That was the overall objective. To earn valid and true traffic. That’s an awesome post you’ve written, I just had to read every word. I am also creating an influencer marketing strategy and your story here has all the insight that I need. I hope I achieve as much success as you did. Inspired by the marketing strategies. I appreciate your detailed and systematic write-up. Makes it easy to understand your process. I learned something, thank you. On point #2, it seems like the manual work is pretty time consuming. 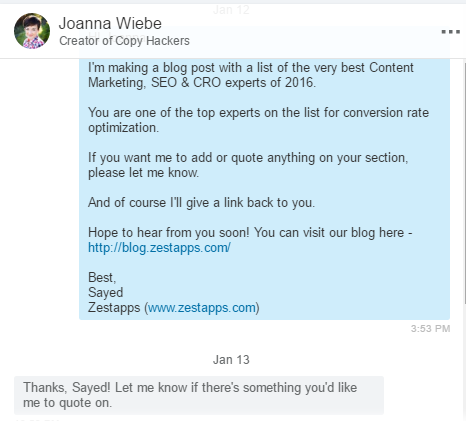 To save time, I use (and love) Buzzsumo. They do all the analyzing you did manually and simply present you with a list of influencers related to any keyword term you enter. The list has the influencers’ social media profiles, number of followers, response rate, and more. Really helpful and affordable. How did you extract twitter info from google in Stage#2? is there a way to automatize that? I really appreciate this step by step process. Influence is key and we ought to be utilizing it even better to promote our business. Great example of working with influencers. I’ve seen others look for a secret sauce or a tool to avoid talking to influencers. Like every else, influencers are human beings, motivated by their own interests, not the brands. This is so neat! 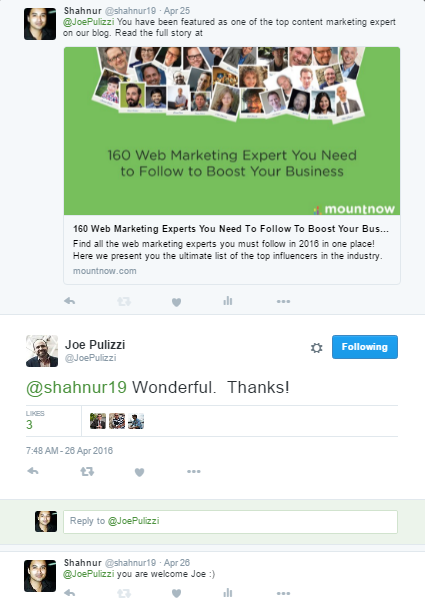 We are just starting with influencer marketing in my company, and your post is super helpful. I mean, it’s always great to learn someone’s successful story and try to follow the steps.